WWE chairman and CEO Vince McMahon announced that his investment company Alpha Entertainment will bring back the league in 2020. The league will consist of eight teams with a 40-man roster that play a 10-game regular season. The league does not yet have a TV partner. The new XFL will have no cheerleaders, will not hire players who have arrest records and will make sure that all of its players stand for the national anthem according to Sports Business Daily. McMahon said during the announcement that the league will seperate itself from political and social issues. "We are evaluating a player based on many things, including the quality of human being they are," McMahon said. If you have any sort of criminal record or commit a crime you aren't playing in this league." If enforced, the statement would bar former Heisman Trophy winner Johnny Manziel from playing in the league, who tweeted at McMahon prior to the announcement. "We want a faster game. We want a more exciting game. We want rules that are simplified," McMahon said. The league is expected to play a winter season following the Super Bowl in eight markets that are still to be determined. The NFL has not yet commented on the XFL's rebirth. McMahon first launched the XFL in 2001 but the league lasted just one season. It was consceived as a league that would take place during the NFL off-season that encouraged rough play. On opening night of the inaugural season, ratings for the league were higher than anticipated but soon after the ratings plummeted and was cancelled after one year. 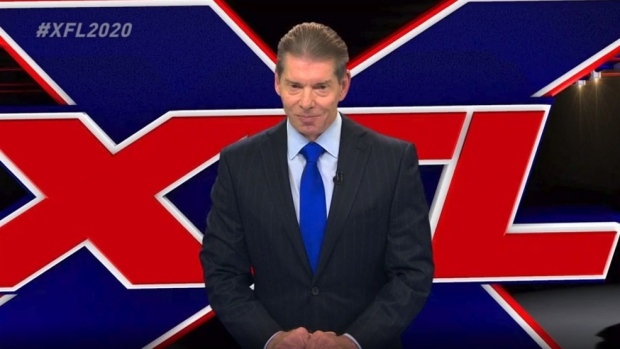 Late last year Darren Rovell of ESPN reported that McMahon sold 3.34 million shares of WWE stock to fun Alpha Entertainment and filed five trademarks related to the XFL, including the terms "UFL" and "URFL."